Irvine is a very large city and its central location makes it a desirable place to live in Orange County. Irvine is close to Tustin Ranch, Lake Forest, and Laguna Hills. If you are thinking about buying an Irvine home, selling any Irvine Real Estate, or leasing in Irvine California you have come to the right place. My Irvine Real Estate website provides many tools to help you get started with finding the right Irvine Home for Sale. My Irvine Real Estate website has a free MLS search and a free Map search. Irvine Real Estate also has community information and a market value tool to help you get an idea about your Irvine Homes value. 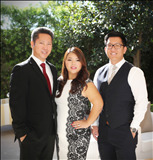 We am an experienced Irvine Real Estate agent and you will get the best results for Irvine California. If you need help with anything Irvine Real Estate or Orange County, planning on buying, selling, or you just have a question regarding Irvine Real Estate, please contact me anytime, we're always available to help you. Thank you for visiting SearchinIrvine.com. Irvine California one of the larger cities in Orange County California with hundreds of communities that offer a great life style compared to other Orange County Cities. Irvine California is centrally located in Orange County which makes it very valuable real estate. Many great schools and companies reside in Irvine California. You will also find some of the best designer homes and latest technology for building in Irvine. Irvine California has a very low crime rate because of its well designed residential areas. Irvine Real Estate consists of condos, single family homes, high rise buildings, multi-unit buildings and multi-million dollar estates in a variety of prices and styles. Some if the newest designs and styles by the best builders can be found in Irvine California. The zip code is 92618. Irvine California includes communities such as Quail Hill, Westpark Turtle Ridge, University Park, Turtle Rock, and Shady Canyon. Irvine is a great city to live in with great people, many things to do and great schools. If you decide to live in Irvine please call me anytime and I will help you find the perfect home. Feel free to use my MLS property search and let me know if your interested in any Irvine Real Estate.